Our municipality has one of the best trail systems in the province. 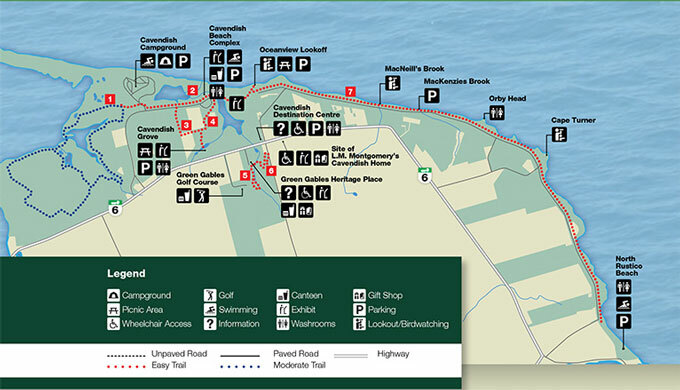 You can walk safely from MacCoubrey Lane to the Cavendish Boardwalk, from Marco Polo Land to the shore and all along Graham’s Lane into the PEI National Park. 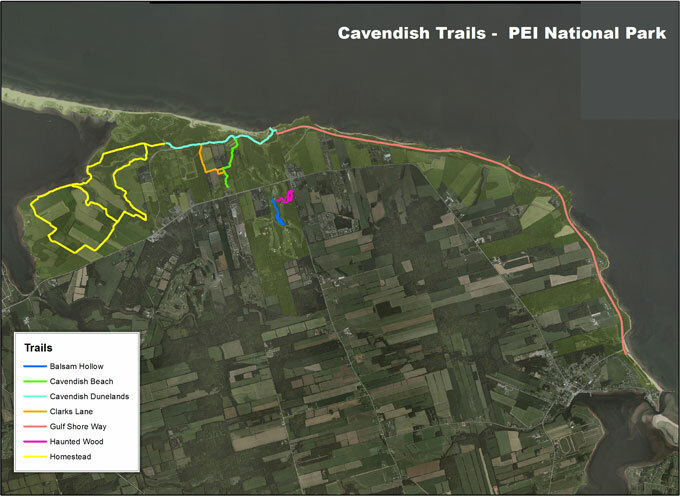 The Prince Edward Island National Park also has a number of trails that are easily accessible. 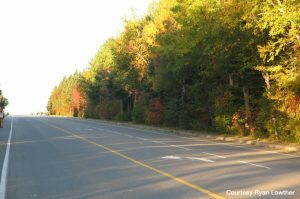 Cavendish Grove became part of Prince Edward Island National Park in 2005 and there have been many discussions about the future identity of this treasured place. 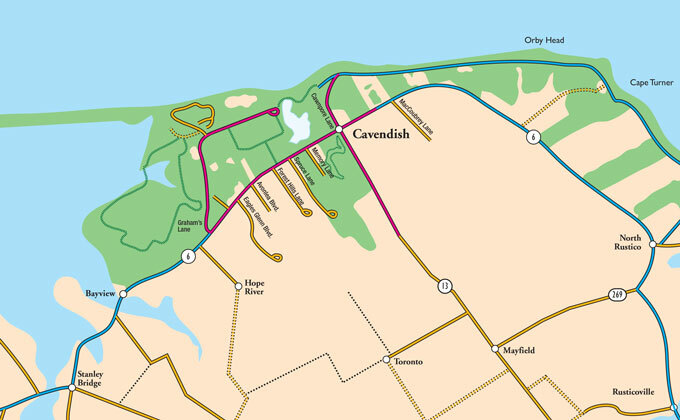 Since that time, the buildings and infrastructure of the former amusement park have been removed and hiking and biking trails developed to create an expanded network of trails in the Cavendish area. A new washroom was also built. Visitors were invited to use the area for picnicking in a peaceful, natural, park-like setting. 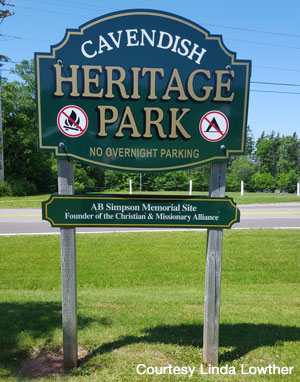 This natural oasis in the heart of Cavendish, referred to affectionately as ‘The Grove,’ has been identified as a focal point for restoration work, with the additional potential of enhancing visitor experience opportunities. A comprehensive plan is being developed to guide the restoration and development of this natural area. 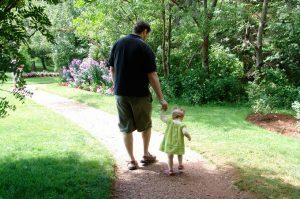 These parks are also available for large group gatherings, family reunions, weddings and events. Please contact the office of the Resort Municipality for information.